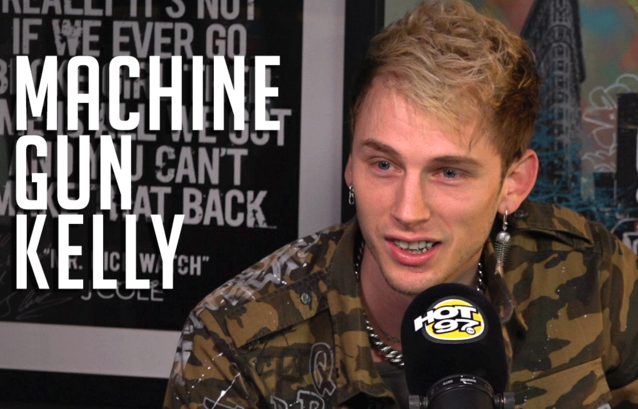 Machine Gun Kelly was in NYC for a sold-out show on his Alpha Omega tour, so he stopped by Ebro In The Morning to discuss his new song, “Bad Things.” The track is his first-ever Top 40 record (“Wild Boy” only hit #89 believe it or not!,) and it features Fifth Harmony‘s Camila Cabello. During the chat with Rosenberg and myself, MGK discussed how LeBron James breathed life into Cleveland, why he turned down a movie role over the N-word, being welcomed by the Zoo Gang while filming a video in Paterson and more! Tune into the interview below. “Bad Things” is available now on iTunes. I had to play the homie IAMSU’s record “By My Side” on Hot 97. One of my faves right now!